Advent, my favorite liturgical season, suggests mystery and anticipation. What’s happening? and When? I never cared for magic as a child, but I did love the present making and wrapping and the cookie baking that filled time in December. I even bought into cleaning because that preceded the decorating and then company and festivities! My mother is not alive to verify or contradict this interpretation of family history. This is the Advent I am remembering now. 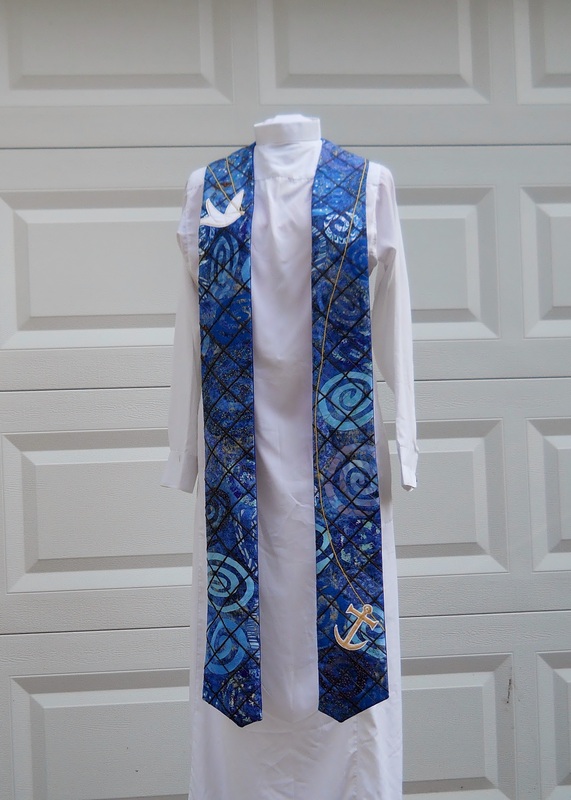 The blue stole pictured here is designed for a congregation as a gift to the interns that share time with them. If I were a practical person about Advent, I would have designed something easier to duplicate. I desired to create a background that suggests mystery, order, and energy. I delight when I return to this design. It takes me into Advent. 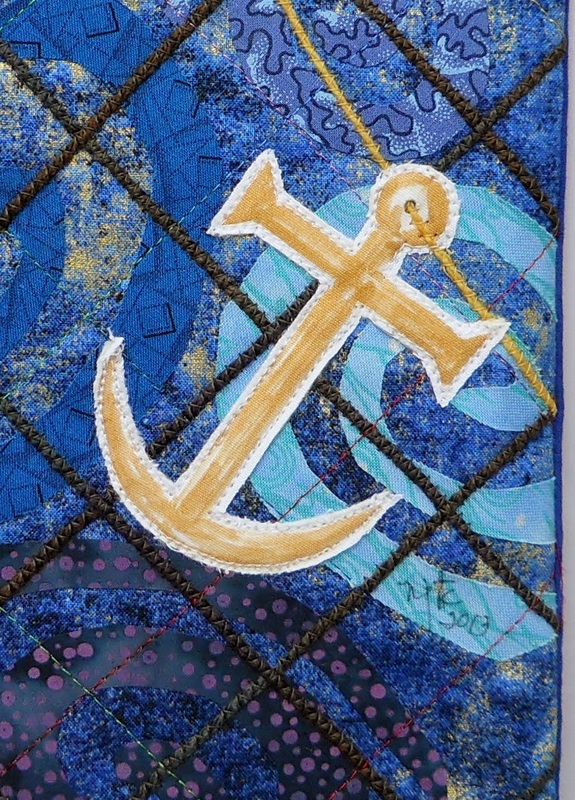 Spirals are cut from blue prints, arranged on the background fabric and fused down. 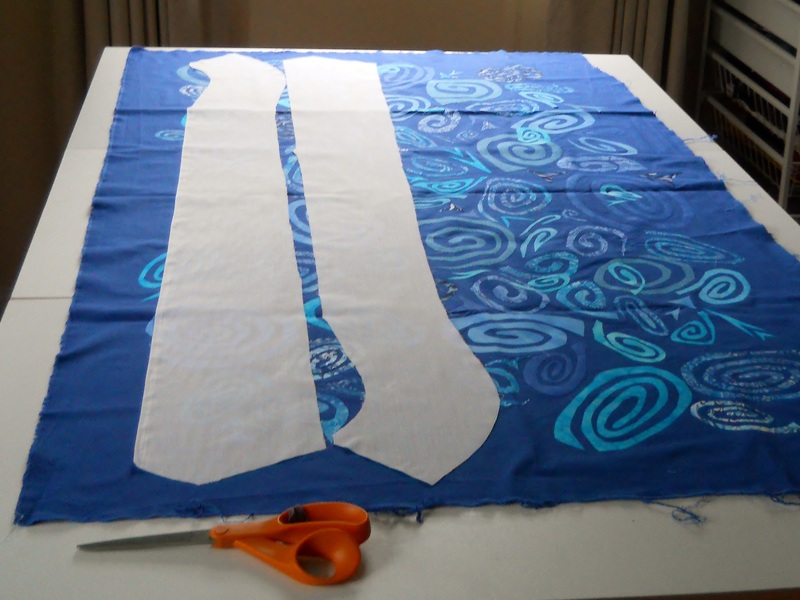 The stole shape is cut from the fabric. A double grid is stitched on point. one set of lines created with variegated rayon thread and the other with couched yarn. I could stop right there, if this were a project to make me happy. 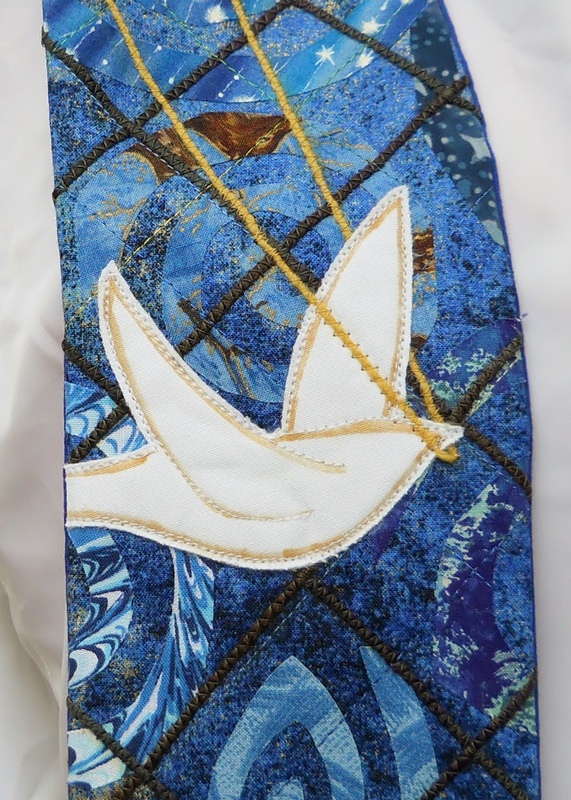 The dove, a defining symbol for the congregation, holds a gold rope to which an anchor cross is attached. 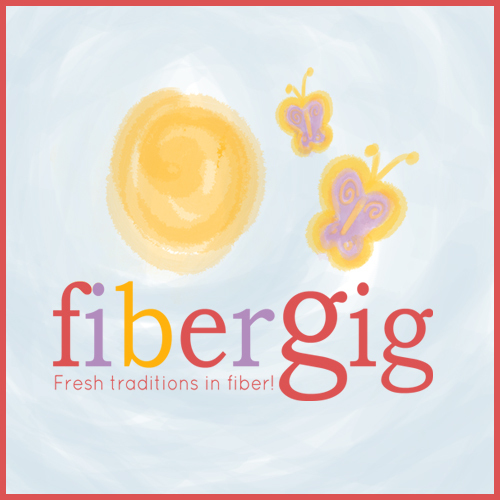 As a former member of this congregation, I know it is a community filled with the Spirit and anchored in faith. I like how the rope winds around the stole and down the other side, a bit of mystery in that also. It has been a delight to work on Advent stoles in June. I am pondering Christmas cookies as I write. What would bring the anticipation of Christmas to you today?